Science, Technology, Engineering and Mathematics (STEM) subjects are integral to the UK’s economic success but only 17% of the STEM workforce is female. 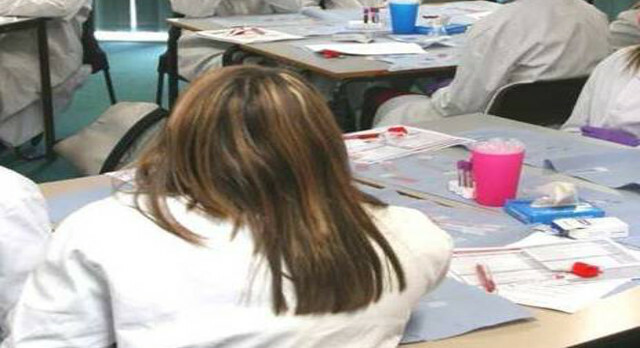 To encourage girls to think about a career in science, Dr Nicola Cumley, Clinical Scientist at the SRMRC, ran a workshop session at ‘Skirting Science’, an initiative set up by Soroptimist International to bring together science professionals and girls. A report of her workshop has been published in the Royal College of Pathologists bulletin. “This day-long event consists of a variety of workshops aimed at girls in Year 9 (aged 13–14) to get them enthused about science. Dr Cumley started by encouraging the girls to talk to each other about infectious diseases, using a modified activity from the Health Protection Agency’s E-bug resource. She then initiated a group discussion regarding characteristics that might be important for an organism to spread and survive. This was loosely structured around the chain of infection. Dr Cumley added: “I provided a set of cards categorised into organism, mode of transmission, symptoms, population at risk, outcome and a list of additional characteristics. On each of these were ten options. The group then furthered the discussion by talking about how disease can affect the social aspects of society, such as leaving people unable to work, in addition to issues of immunity and transmission of disease. If you would like to speak to Dr Cumley, or one of the other SRMRC team, about running a workshop such as this in your organisation, please contact Rosie or Hannah on 0121 371 4223.